Oh. My. God. The Penguin Clothbounds ARE SO GORGEOUS!!!!! And they're AUSTEN!!!! Aren't they so lovely? I'm obsessed! EEEK READ SOME AUSTEN LADY! Okay, but really. Love her SO much! I've read both Daughter of Smoke and Bone and The Help, but I've heard fab things about the audio so I'm looking forward to a re-read. HANNAH OMG. I have to talk about those Penguin clothbounds. I have A TON of them myself because they're GORGEOUS!!! I just bought Mansfield Park and Persuasion as my Christmas gift to myself. Do you have any others? I've never seen that drop-cap edition, though. I need to go hunt that one down now!! Now. What else did you get? I hardly noticed anything else because I was jumping up and down about those clothbounds! *scrolls back up to check the rest of your haul* AHHH, Graceling! How are you liking the audio? I tried to listen to it once and couldn't get into it. Obviously, I love the book itself though. And The Scorpio Races audio is on my list for this year. I've heard only outstanding things. Same for DoSaB, which I should probably listen to/reread before I get into Days of Blood and Starlight. So many great books, Hannah! Yay! I do have other clothbounds - as you saw on Twitter :) I got to them a little late so I missed out on some of the ones that have since been discontinued. Boo! They just look so pretty on a shelf! And yeah, I couldn't really get into the Graceling audio. The full cast and music thing kept throwing me out of the story instead of making me enjoy it more. And I'm looking forward to audio re-reads of Scorpio Races and DoSaB - I've heard great things, especially from Asheley. You have some gorgeous covers up there! And some great audiobooks too! Enjoy! I freakin loved The Help via audiobook, it's very very well done and one of my favorites EVER. I also want to steal ALL OF THE CLOTHBOUNDS! ALL OF THEM. You've made me even more excited for The Help audio! I adored the book when I read it a few years ago, and I think the audio will just make me love it more. And yay for Pride & Prejudice! Every re-read really does reveal new layers to the story that you miss when you're younger. Awesomesauce. I want that 36 book! I love all of the Penguin clothbounds!! And of course I approve of all the Austen. It's so hard to believe that P&P is 200 years old! Also, fantastic audio selections! 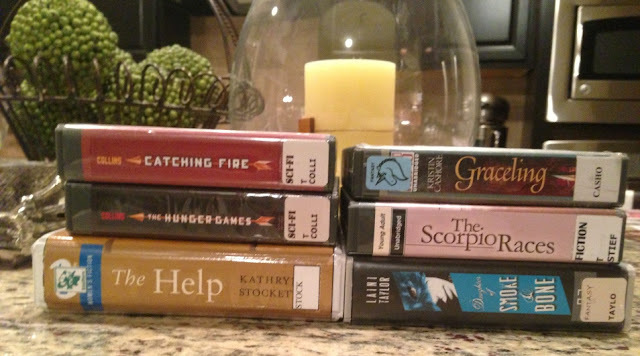 I love ALL of those books, and even though the only one I listened to was The Help (which was EXCELLENT on audio), I've heard great things about the others. Yay Austen lovers! You're welcome here haha :) And I can't believe it's 200 years old - so crazy! All the audio I got will be re-reads, so that makes me happy. I find that I can enjoy the audio more when it's a re-read and it also helps me appreciate the book more! I've got to finish Mansfield Park. Graceling, The Scorpio Races, Daughter of Smoke & Bone...all great books. I love Jane Austen, but I think Mansfield Park is so boring. Haha! I want to love it because I love everything else she wrote but it is such a drag to read. And yes, the others are great reads! I have all three of those Coralie Bickford-Smith books! Aren't they gorgeous?! I'm collecting them for my mantle with the hopes that they span the entire thing. Are you collecting them as well? I am collecting them all! I got to it a little late so I missed out on a few that have since been discontinued or aren't really being sold anymore. They just look so pretty all lined up! I didn't receive a lot of books this Xmas, but the ones I did are EXACTLY those three Penguin Clothbound Edition. I already had the other three Austens in the shelf, so now her collection is complete. 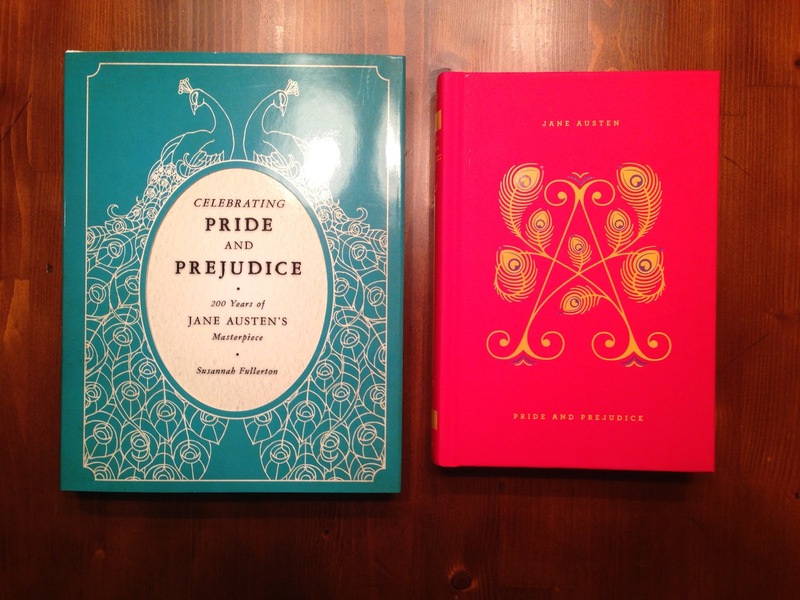 I had the other three Austens too, so my Austen part of the clothbound collection is complete. YAY! Eep! That edition of Pride & Prejudice is SO PRETTY. I want it!! It is so pretty! I love how they're always coming out with new editions haha!